Think 1966 and any England fan will instinctively think of the World Cup. But as the dust settled on England’s triumph, the side were quickly back in competitive action. On October 22 England were heading to Northern Ireland for their opening qualifying match for the 1968 European Championship. 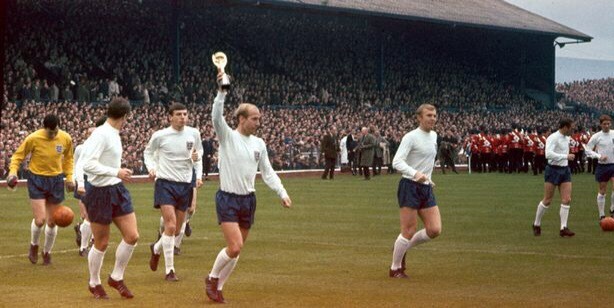 While retaining the World Cup in 1970 would be the primary goal, in the short-term there looked the serious possibility England could simultaneously hold the three available titles of World Cup, European Championship and Home International Championship. 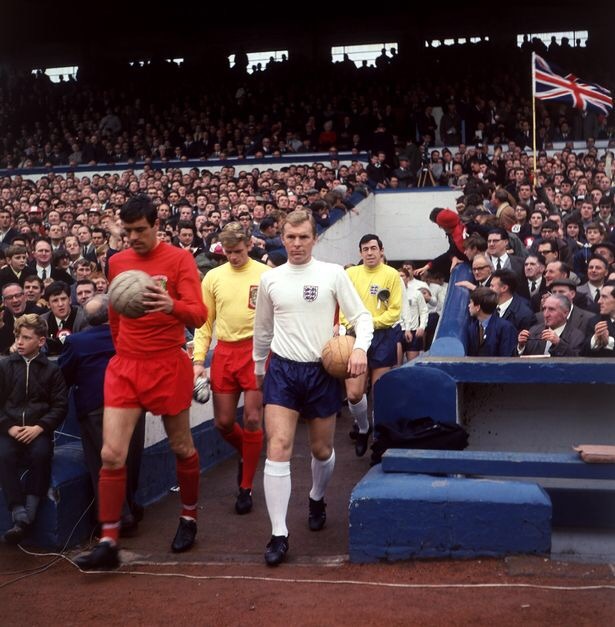 The latter two competitions would be linked, as the 1966-67 and 1967-68 Home International series would double up as a qualifying group for Euro ’68. England had been the only UK side present at the 1966 World Cup, although the other three had all finished just one place off qualifying from their respective groups. The chance to claim the scalp of the world champions would appeal to the other British sides, particularly Scotland. The Scots had never entered the European Nations Cup before, while England’s only previous foray had lasted just two matches against France in qualifying for the 1964 tournament. The second-leg defeat against the French in February 1963 had marked the start of Alf Ramsey’s reign. Since then he had built a side to win the World Cup and the soon-to-be knighted manager would stick with his trusted and familiar XI when England travelled to Belfast in October 1966, the day after the tragic events in Aberfan. England paraded the Jules Rimet Trophy prior to kick-off, as they faced a side including promising youngsters George Best and Pat Jennings. Roger Hunt gave England a half-time lead, with Martin Peters wrapping up the 2-0 win on the hour mark. Memories of the summer were in clear evidence as England visited Northern Ireland in October 1966. England’s Wembley homecoming on November 2 produced an anti-climatic 0-0 friendly draw with Czechoslovakia. But two weeks later they faced a more important clash when they hosted Wales in their second qualifying match. The Welsh had drawn with Scotland in their opening game but they were to be well-beaten at Wembley. Fielding the World Cup XI for the last time after six successive matches, goals from Geoff Hurst (2), brothers Bobby and Jack Charlton and Terry Hennessey (own goal) brought England a 5-1 victory. The result meant Ramsey’s side had been unbeaten throughout 1966 and they now had five months off until they played again. In April 1967 the World Cup winners faced their biggest match since the final, as Scotland visited Wembley. Since being thrashed 9-3 at Wembley in 1961 the Scots had enjoyed the upper hand in the derby clashes, winning three of the last five meetings. They now had the added incentive of trying to stop England qualifying for the quarter-finals of the European Championship, as well as seeking to end their 18-month unbeaten record. Plus the match would decide who won the 1966-67 Home International Championship, with the Scots having three points and England boasting four as they headed into the contest. Scotland celebrate a famous win over England. Jimmy Greaves returned to the England side for the first time since injury curtailed his participation in the 1966 World Cup. It was a day that would go down in infamy, the Scots revelling in their 3-2 success. England were hampered by Jack Charlton suffering an early injury and having to be stuck upfront in the absence of substitutes, but that did not detract from the Scottish victory which was thoroughly merited as Jim Baxter indulged in a spot of ‘keepy-uppy’ to rub England’s noses in it. Denis Law gave Scotland the lead on 27 minutes, with the scoreline not changing until Bobby Lennox doubled the advantage 12 minutes from time. A late flurry saw Jack Charlton defy the pain barrier to score and give England hope, Jim McCalliog put the Scots 3-1 up and Geoff Hurst again put England back in it. But Scotland saw the game out to claim the victory, their fans invading the pitch at the end in delight. The Scots were already growing tired of hearing about England being the world champions and would now delight in the fact that they had done what sides such as Argentina, Portugal and West Germany couldn’t the previous summer and beaten them at Wembley. England had won the World Cup, but Scotland were the first team to beat them afterwards so that meant they were the new world champions in the eyes of some north of the border! For Ramsey defeat to the Scots would hurt, but perhaps more painful would be some scathing match reports and suggestions the good times were over. In the Daily Mirror, Ken Jones said that “England ought to have been massacred” and expressed his belief they had been let off the hook in only losing 3-2. “I am left only with the thought that Sir Alf Ramsey’s World Cup team might have been destroyed beyond all repair,” he concluded. It was less than nine months since the World Cup triumph and just one defeat had been sustained, but already doubts were being cast. The summer of 1967 was much quieter for England than a year before, the season concluding with two friendlies in May (although Ramsey would then lead a strong FA XI through a tournament in Canada). Greaves scored in an impressive 2-0 home win over Spain, but his last cap for his country came three days later as Austria were beaten 1-0 in Vienna. He would remain involved in the squad, but effectively retired from the international scene once his request for him to only be called up if he would be playing was inevitably rejected by Ramsey. The Spain game had seen John Hollins win his only England cap, while Alan Mullery was picked for the first time since 1964 and Keith Newton earned only his third cap. The latter two would become regulars, as Ramsey looked towards the future and some of the 1966 heroes found their places in jeopardy. In October the European Championship qualifiers resumed when England travelled to Cardiff to face Wales. A goal from Martin Peters gave England a first-half lead, but victory was only assured when Bobby Charlton and Alan Ball (penalty) scored in the last five minutes to wrap up a 3-0 win. But of greater significance was Northern Ireland’s 1-0 win over Scotland on the same day, handing the initiative back to Ramsey’s men. A win and a draw from the next two games would be sufficient. England meet Wales in October 1967. 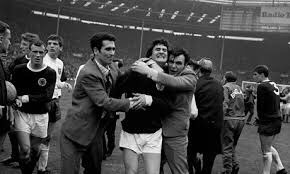 Northern Ireland visited Wembley in November without key players George Best and Derek Dougan, with England getting a 2-0 win to preserve top spot. Geoff Hurst and Bobby Charlton scored, but Scotland’s win over Wales meant the qualification battle would go to the final round of matches. George Cohen made his final appearance for England in the win over Northern Ireland, while David Sadler won his first cap and Peter Thompson featured for the first time since the corresponding match two years earlier. It had not been a vintage England display and they could have gone behind early on, Ramsey conceding that “too many players were too casual”. But the win that was needed had been achieved. A rare December friendly saw England make hard work of a 2-2 draw with USSR at a snowy Wembley, in which Cyril Knowles became England’s latest debutant. 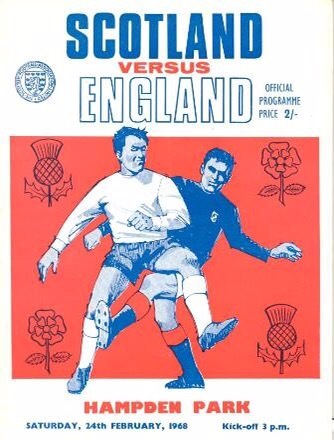 But the key date was February 24, 1968, as Scotland met England at Hampden Park. It was going to be winner takes all, although for Ramsey’s team a draw would be sufficient. England were the World Cup holders, but Scotland held the Home International Championship crown and could also boast the European Cup title at club level after Celtic’s triumph the previous season. It was certainly a huge game and a staggering 134,000 crowd would be in Glasgow to watch it. There have been plenty of big games between the sides down the years, but this was one of the biggest. And yet the English domestic programme would continue on the day, matches such as Arsenal against Manchester United being played at the same time as clubs coped without their internationals. “I doubt if the Scots have the flair or the teamwork to match England,” wrote Mirror man Jones as he revealed Mike Summerbee was to win his first cap in place of Roger Hunt. Although cynics may have believed England’s 1966 triumph owed much to home advantage, it is worth nothing they went into this game having not lost away from home since 1964. England started brightly and went ahead after 20 minutes through a well-taken goal by Peters. But with Charlie Cooke impressing for the hosts the next goal went to the Scots, John Hughes heading them level on 39 minutes. England still headed the group if things stayed as they were, but a goal for the Scots would swing the advantage their way. Ultimately they had few opportunities to do so after the break, England looking the more threatening with Peters hitting the post. Whereas Scotland had deserved to win at Wembley, it was widely felt England were the better side here. They couldn’t regain the lead, but didn’t need to as they safely saw out the match to its conclusion and gained the point required to advance – while also meaning they were outright British champions for 1967-68. England had achieved their basic target of topping the group and could now look ahead to playing Spain in a two-legged quarter-final, which they won to advance to the finals in Italy before losing to Yugoslavia in the semi-final.